Liverpool will go into Saturday’s fixture at home to Stock having gone 54 home games in the top flight without losing to the Potters. The Potters did, however, win a League Cup semi-final second leg fixture 1-0 at Anfield in January 2016. Jurgen klopp is expected to rotate his squad ahead of the return leg with Roma in the Champions league next Wednesday. Sadio Mane is nursing a minor injury and is unlikely to be risked, while Alex Oxlade-Chamberlain is out with season-ending knee ligament damage. Stoke pair Maxim Choupo-Moting and Kostas Stafylidis remain sidelined by respective groin and rib injuries. Glen Johnson is still a doubt, and both Saido Berahino and Jese are once again not under consideration. Liverpool have won eight of their last nine matches against Stoke, the exception being the Potters’ 6-1 home win on the final day of the 2014-15 season. The Reds are undefeated in 19 home league matches, winning 12 and drawing seven. The last side to beat them in the league at Anfield were Crystal Palace on 23 April last year. Stoke are winless in 11 league fixtures since beating Huddersfield 2-0 at home in Paul Lambert’s first game in charge (D6, L5). They have the division’s worst away record, with one win and nine points from 17 matches. Jurgen Klopp is understandably proud of the fact that his team haven’t lost a Premier League game at Anfield for over a year and certainly won’t want to lose that record or their ascendancy in the top four. 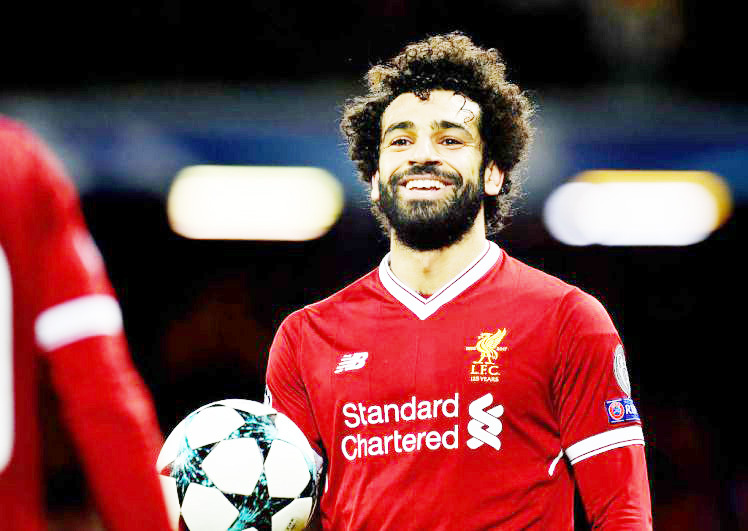 One win under Paul Lambert and no top-flight wins at Anfield in their history won’t inject the Stoke confidence levels to a significant level, but if there is to be a great escape it has start somewhere – and soon. With the game away to Roma coming next week and Stock in dare need of points, i see this ending in a draw. Prediction: Liverpool and Stock to play out a scoring draw. Burnley defender Ben Mee remains sidelined with a shin injury but winger Georges-Kevin N’Koudou is available after a hamstring problem. Steven Defour, Robbie Brady and Scott Arfield are all long-term absentees. Brighton are again without midfielder Davy Propper, who serves the final match of a three-game suspension for his red card against Huddersfield. Manager Chris Hughton reported no fresh injury concerns, with Steve Sidwell and Jiri Skalak the only other absentees. The last four meetings have all ended in draws. Brighton are unbeaten in seven league matches against Burnley and have conceded only four goals during this run (W3, D4). The Seagulls have won four times and lost just once in their last seven league visits to Turf Moor. Burnley’s last victory over the Seagulls was 1-0 Championship triumph in April 2012. Burnely could secure a Europa League place this weekend, depending on results elsewhere and i think they will do their part. Crystal Palace’s 3-0 win in the reverse fixture ended a four match winless streak against Leicester (D1, L3). Palace are boosted by the availability of Connor Wickham and ex-Leicester player Jeffrey Schlupp after injuries. Wickham has not played since November 2016 when he ruptured his cruciate ligament against Swansea City. Leicester are again without goalkeeper Kasper Schmeichel and Shinji Okazaki because of ankle injuries. Vicente Iborra and Daniel Amartey are also out but Claude Puel is considering a recall for captain Wes Morgan. Leicester have lost just one of their last five league games at Selhurst Park, a 2-0 Premier League defeat in September 2014 however, Crystal Palace have lost only one of their last five matches (W2, D2). There have been 13 goals scored in the last three matches at Selhurst Park. Palace have kept just two home clean sheets, a joint league-low with Bournemouth. Prediction: Palace to win the game but will concede at least one goal. Huddersfield remain without injured trio Elias Kachunga, Danny Williams and Michael Hefele and midfielder Tom Ince is also unavailable for this game because of a hamstring strain. Everton will assess Leighton Baines, Morgan Schneiderlin and Dominic Calvert-Lewin, all of whom are injury doubts. The game comes too soon for Gylfi Sigurdsson, although the Icelandic midfielder is back in light training following a knee injury. Everton are unbeaten in their past eight league and cup games against Huddersfield (W4, D4), winning the last three. The Terriers last won this fixture in March 1956. That 1-0 victory at Leeds Road didn’t prevent their relegation from the top flight at the end of the season. An Everton victory would complete a league double over Huddersfield for the first time since 1950. Prediction: Huddersfield to win by a slim margin. Newcastle have lost just one of their last 15 league games at home to West Brom (W10, D4). The Baggies’ only league victory at St James’ Park since September 1977 was by 3-2 in 2011. Rafeal Benitez’s men have conceded 13 league goals in 2018 – only Manchester United and Tottenham, with 10 and 11 conceded respectively, have better records. They are unbeaten in seven Premier League home games since a 1-0 defeat by Manchester City on 27 December (W4, D3). Newcastle could lose back-to-back league games for the first time in 2018. Unless West Brom win they will suffer their 10th relegation from the top flight – only Birmingham (12) and Leicester (11) have suffered that fate more often. The Baggies have scored 41% of their goals from set-pieces (excluding penalties), which is the highest figure in the division this season. Darren Moore has earned five points from his three Premier League games in charge of West Brom, one more than Alan Pardew did in his final 11 matches. Newcastle pair Christian Atsu and Mikel Merino will miss Saturday’s match because of knee injuries. Striker Islam Slimani, who played for an hour at Goodison Park, could start his first home game for the Magpies. 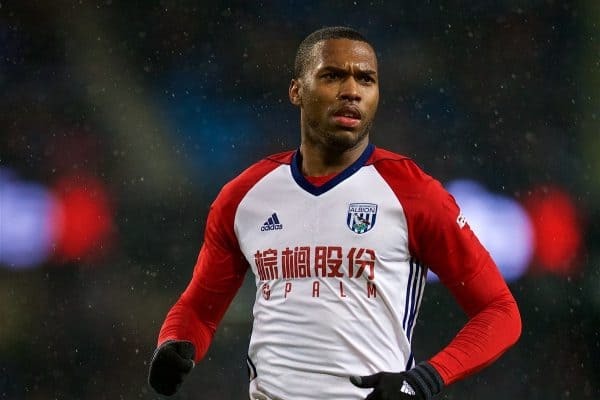 Fit-again West Brom striker Daniel Sturridge is available after being ineligible against parent club Liverpool last weekend. Winger Nacer Chadli is also in contention to return from a long-term hip problem. Southampton winger Sofiane Boufal will not feature, having been exiled from the first-team squad as punishment for a falling out with manager Mark Hughes. Steven Davis could miss the remainder of the season because of an Achilles injury but defender Jack Stephens is available after a three-match ban. Bournemouth will be without Harry Arter, who has an Achilles problem. Defender Adam Smith is close to full fitness after a knee injury and is likely to return next weekend. Southampton have never lost at home to Bournemouth in any competition (W8, D5). The sides drew 0-0 at St Mary’s a year ago, with Harry Arter missing a late penalty for Bournemouth. Bournemouth’s only victory in the nine most recent meetings was by 2-0 at home in the Premier League in March 2016. Prediction: Southampton to win by a slim margin. Swansea go into the game with only one Premier League victory over Chelsea in 13 attempts and it came at home in April 2016 (D4, L8). The Blues have won two and drawn four of their seven trips to Liberty Stadium in all competitions. Swansea have gone five matches without a win – although four of those were away fixtures (D3, L2). They have only scored twice during the current winless run and are the division’s joint-lowest scorers this season, along with Huddersfield. However, the Swans are on a five-match unbeaten run at home – earning 13 points from a possible 15. They could equal the club Premier League record of six consecutive home fixtures unbeaten, set from November 2011 to January 2012. For Chelsea, they are vying for a third successive Premier League away victory – having lost the previous three. It’s seven league matches without a clean sheet for Chelsea. Antonio Conte has won 49 of his 72 Premier League games – victory on Saturday would ensure he becomes the third quickest manager to reach 50 victories in the competition, after Jose Mourinho (63 games) and Pep Guardiola (69). Olivier Giroud has scored two goals and set up two more in four away Premier League starts at Liberty Stadium. Swansea head coach Carlos Carvalhal may have to abandon his policy of playing three central defenders, with Federico Fernandez and Kyle Bartley both doubtful because of knee injuries. Luciano Narsingh could miss out with an ankle problem, but Renato Sanches might be involved after a hamstring problem. Chelsea left-back Marcos Alonso will complete a three-match ban on Saturday. Danny Drinkwater could return from a groin strain, but David Luiz and Ethan Ampadu are injured. Prediction: Swansea not to lose the game. Adrian will begin between the posts for West Ham against Manchester City with Joe Hart, on loan from their opponents ineligible to play. Manuel Lanzini continues his recovery from injury, while Pedro Obiang is close to returning to the squad, although Sunday’s game may prove too soon for him. John Stones and Sergio Aguero remain sidelined for Manchester City, although manager said this week he is hopeful of the former playing again before the end of the season. West Ham have lost their two previous matches against Man City at London Stadium by an aggregate score of 0-9 (0-5 in FA Cup in January 2017, 0-4 in Premier League in February 2017). Manchester City have won all four matches against the Hammers under Pep Guardiola in all competitions. The Hammers have lost only one of their last seven Premier League home games (W3 D3), losing 0-3 against Burnley last month. Man City have won their last two league games played in London, beating Arsenal and Tottenham respectively. They’ve not won three consecutive top-flight games in the capital since January 1955 (2 wins vs Chelsea, 1 vs Arsenal). City have scored 98 Premier League goals this season – only three teams have reached 100 goals in a single season in the competition’s history (Chelsea 103 in 2009-10, Man City 102 in 2013-14 and Liverpool 101 in 2013-14). Indeed, if they score their 100th in this game, it will be the fastest a team has reached 100 top-flight goals in a season (35 games) since Everton in 1931-32 (32 games). City are also one win away from equalling Chelsea’s record of 30 wins in a single Premier League campaign, which the Blues set last season. Prediction: City to win the game that will have several goals in it. Arsene Wenger may be tempted to rest several key players on his final visit to Old Trafford as Arsenal manager. The Gunners boss has the prospect of a Europa League semi-final second leg at Atletico Madrid to contend with on Thursday, with extra pressure on his side after they were held to a late draw on Thursday night. Sergio Romero remains the only absentee as Manchester United prepare to face Arsenal in the Premier League on Sunday. The back-up goalkeeper remains absent with a knee injury sustained on international duty with Argentina last month. Antonio Valencia has overcome a muscle complaint sustained in last weekend’s FA Cup semi-final win against Tottenham. Henrikh Mkhitaryan’s recovery comes a little too late to face the club he left in January, while Mohemed Elneny is also sidelined with ligament damage. Santi Cazorla was pictured warming up on the pitch at the Emirates ahead of their 1-1 draw with Atletico on Thursday, but is still some way from being fit to play. Manchester United are unbeaten in 10 home league matches against Arsenal (W7 D3), their longest run since March 1961 (17 games). In all competitions, Arsenal have lost 13 of their last 18 away visits to Old Trafford (W2 D3), although only one of those defeats has been in the last four visits (W1 D2). 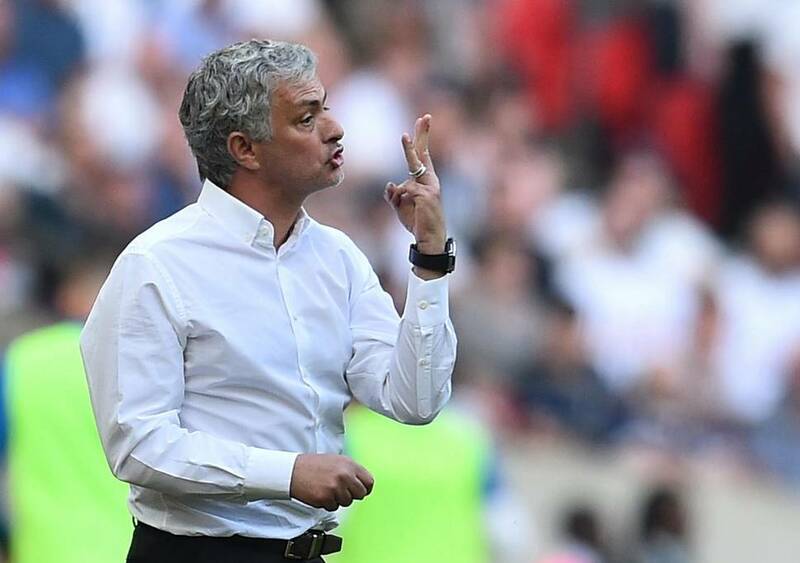 The Red Devils haven’t completed a league double over the Gunners since the 2011-12 campaign – the last Man Utd manager other than Sir Alex Ferguson to achieve this was Ron Atkinson in the 1984-85 campaign. The Gunners haven’t beaten Man Utd in a match in the month of April since 1978, a 3-1 win in a league match. Since then, Arsenal have failed to beat their rivals in four FA Cup matches, five league matches and one Champions League match (D4 L6). This will be the 19th meeting between Jose Mourinho and Arsene Wenger in all competitions – Mourinho didn’t lose any of the first 13 (W6 D7) but has lost two of the last five (W2 D1). However, he’s never lost at home against Wenger in seven matches (W4 D3). 67% of the Red Devils’ Premier League defeats this season have been in matches played on a Sunday (4/6), including both of their losses at Old Trafford (vs Man City and West Brom). The Gunners have already lost nine Premier League away games this season – they last reached double figures for away defeats in a 38-game season back in 1989-90 (10). Indeed, Arsenal have lost their last five on the road in the Premier League – they’ve not lost six in a row in the top-flight since a run of seven in January 1966. Alexis Sanchez could become the first player to score both for and against the same team in the same Premier League season since Wilfried Bony in 2014-15 (who scored for and against both Swansea and Man City). Prediction: Man United to win the game comfortably. Tottenham will assess Danny Rose in the build-up to their Premier League game with Watford on Monday night. The left-back has missed the last three games with a calf injury, but returned to training on Friday. That leaves Harry Winks as the only absentee as he recovers from an ankle injury while Hugo Lloris will return in goal after sitting out the FA Cup semi-final defeat to Manchester United. Watford have a number of injury concerns ahead of Monday’s Premier League trip to Tottenham. Boss Javi Gracia could have Gerard Deulofeu back after a throat infection but has several players struggling to be fit. Nathaniel Chalobah (knee) is back in training but is likely to miss out while Gracia also noted Roberto Pereyra (groin) could feature while Younes Kaboul (foot), Tom Cleverley (hamstring) and Stefano Okaka (unspecified) are out. Tottenham are unbeaten in their last 12 matches against Watford in all competitions (W9 D3), since a 3-2 defeat at White Hart Lane in the League Cup in October 1994. Watford have lost their last seven away league matches against Spurs since a 5-1 win in May 1985 under Graham Taylor. Tottenham have lost their last two home games in all competitions, as many as they had in their previous 42 combined. They’ve not lost three in a row at home in the same season since November 2004 (a run of four). Mauricio Pochettino’s side haven’t gone four games without a win in all competitions since a run of seven in October/November 2016. The Hornets have lost three of their four visits to Wembley – including both at the new Wembley against Crystal Palace – winning the other in May 1999 against Bolton in the second-tier play-off final. Prediction: Tottenham to win by two or more goals.